If you’re in the market for a loop pedal, you might find yourself confused with the sea of options available to you. Loop pedals have come a long way; there’s a lot to know about the features and benefits of the hottest loopers. There are even loop pedal enhancements that you probably didn’t even think existed (reverse playback, for example). We’re making sense of all of the top loopers with this handy mini-guide showcasing all of the important points. Let’s do a short review of common looper settings before we get started. Below are common looper-specific settings that we’re going to encounter as we look at each of the ten loop pedals. – Level: Level is the setting that determines the volume of the recorded loop when played back. – Loop Effects (or FX): This setting applies various effects to the recorded phrase, like phaser or delay. – Write/Delete: This setting controls the writing or deleting of your looped sounds to memory. With many loopers, only one button is needed for both functions. – Dub/Overdub: Overdubbing refers to recording on top of a pre-recorded loop. 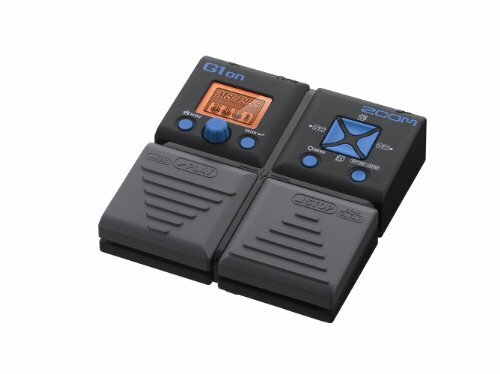 Now that we have the basics covered, let’s get into the pedal reviews! We’re starting with one of the more basic pedals on this list, and it happens to function as a full-featured multi-effects pedal, too! 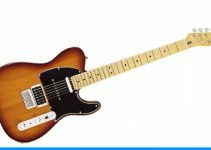 This means you’re able to loop and apply effects like distortion and reverb to your sound. 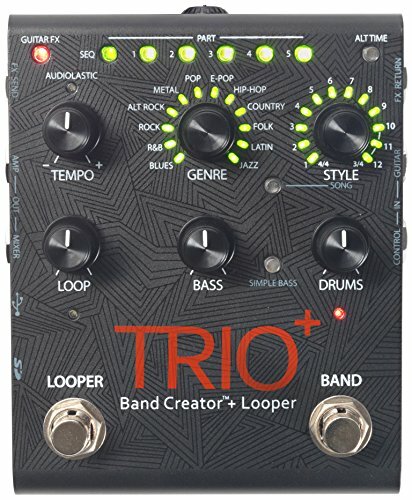 This looper features over 75 effects, an onboard tuner and even a drum machine you can use to keep time. Up to five effects can be used at once, giving you unlimited creative potential all in one small, powerful pedal. Also, because of the 100 memory locations, you can store multiple looped phrases for later use. The Donner Looper sports a big, beefy level control knob positioned in the top center of the small profile pedal housing. The size of this little guy is becoming standard for many ‘micro’ pedals, but the functionality is anything but small. 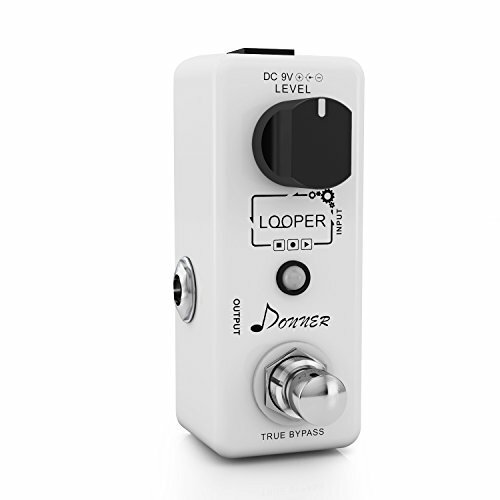 The Donner Looper allows for unlimited overdubs, giving you limitless opportunity to add to your loops once they’re recorded. 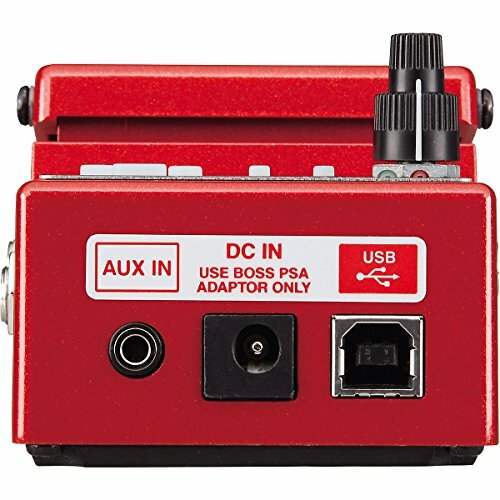 With the pedal attached to your computer via USB cable, you can transfer music to and from the unit. This allows for swapping in and out user-selected loops on demand. With the advent of their new Mugig looper, Mugig has released a worthy contender in the competitive market of in-line looper pedals. This pedal features a maximum of 15 minutes of recording time with unlimited overdubs. Clearly the engineers at Mugig were thinking of the musician when they designed this pedal, as it’s housing is beefy, the controls are straightforward and the centered LED indicator clearly tells you when the unit is on or in true bypass mode. This is an ideal looper pedal for someone with a minimalist approach to their pedal rig. Electro-Harmonix is known for having produced some of the most prized effects pedals of all time. 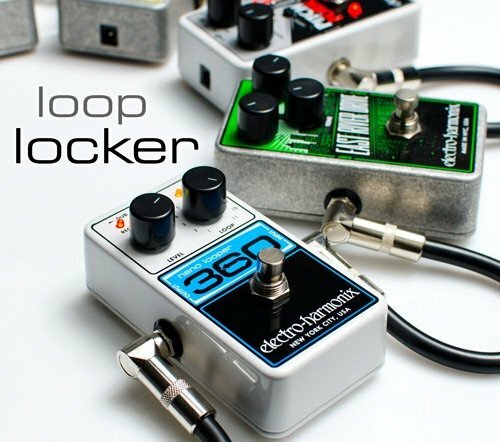 Continuing this trend, they have released their 360 Nano Looper as an option for those who want a full-featured looper without the massive footprint of more complicated devices. In addition to the single level control knob, the 360 Nano Looper also sports a loop selector knob that allows you to dial in exactly the loop you want to use. This is especially convenient for mixing multiple loops in a live scenario. Boss know pedals better than most – they’ve been producing some of the best for decades. The RC-3 has become a standard-setter in the world of compact loopers, and it’s for good reason. 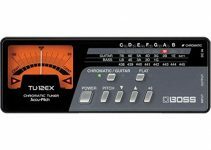 This one small unit allows for dual inputs and outputs, selectable memory, and LED screen, accompanying rhythm feature and a compound level control knob. The Boss RC-3 is probably the most versatile loop pedal within this footprint class. Overdubbing is a breeze by simply using the same action you use to begin the recording feature. The TRIOPLUS from Digitech gives the musician more creative power than ever before. 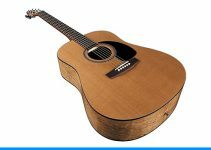 This looper comes with dozens of pre-programmed backing tracks with selectable styles, tempos and levels. Want to add a jazz background to your loop? It’s easily done with the turn of a knob and at the press of a button. The actual rhythm samples are high quality, too, so the resulting music is professional quality. This pedal can even be used live to create interesting sonic landscapes that will truly impress. 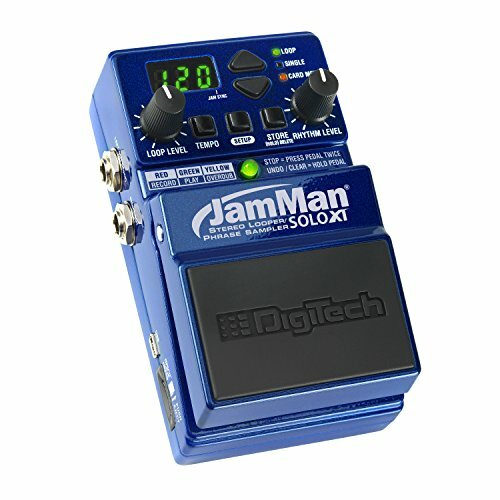 Giving all other looper pedals a run for their money, the Digitech Jamman Solo XT offers up a sizable lot of features contained within a very compact form factor. The Jamman Solo XT allows the user to record and send full stereo sound, using mono and stereo inputs and outputs. A three-digit LED screen and multicolored LED indication light make for an easy-to-use looper that performs well especially in low-light situations. The sturdy metal housing is a nice feature, and the buttons and switches are all top quality. The Ditto Looper from TC Electronics is a basic, no-nonsense loop pedal that appeals most to the minimalist. There are only three components of the pedal face – a LED indication light, a level knob, and the pedal button itself. The pedal is tough thanks to its sturdy construction, and it is probably the smallest looper we’re including on this list. 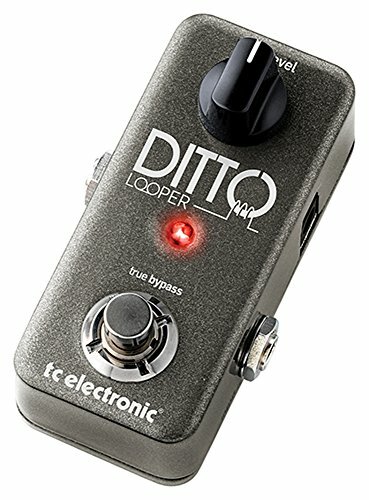 If you’re looking for a loop pedal that only does one thing and does it really well, you want the Ditto Looper from TC Electronics. Just when we thought we couldn’t get any smaller, the Hotone Skyline Series WALLY Compact Looper Guitar Pedal smashes the records. This tiny, functional little pedal packs a punch, with a record level knob, an output level knob and a tempo control knob. Pedal purists will appreciate the design, too. Hotone clearly goes for a vintage design concept with fat, bold control features and hardware. A single LED operation light on the pedal lets you know when it is in bypass mode, recording, or playing back your loop. 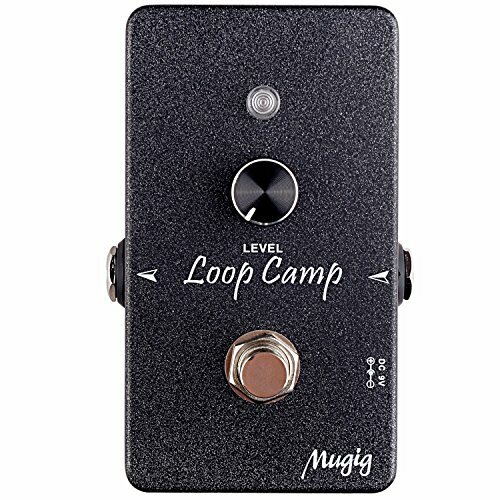 If you want way more than just 15 minutes to loop, you’ve found your perfect looper pedal. 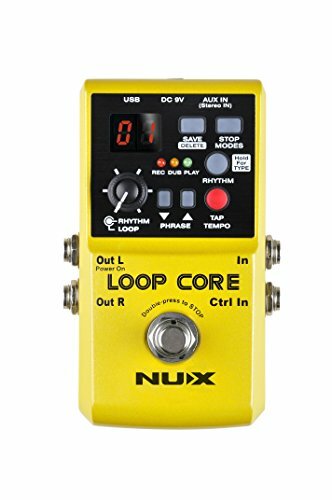 The Nux Loop Core Guitar Effect Pedal Looper allows for up to six hours of recording time, and it features 99 memory spaces for storing those long loops. Also, because this pedal has a tap tempo feature, you can set the tempo of your recorded phrase just by pressing the button in time. 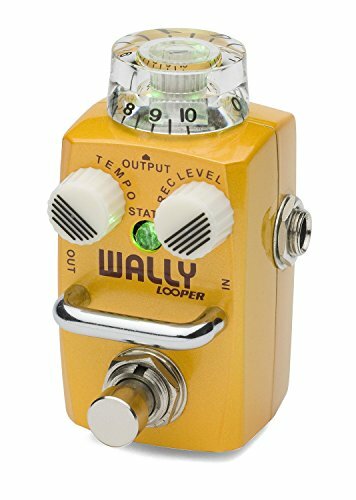 This gives you accuracy and control you don’t normally find with other looper pedals. As a bonus, you also get dual inputs and outputs, allowing you to record and playback music in full stereo. There you have it. Now that you’re armed with information about these ten looper pedals and their most important features and benefits, you can make the most informed buying decision possible.